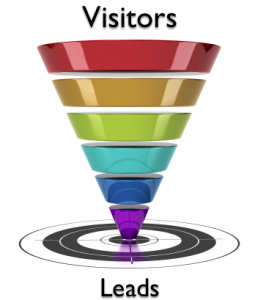 Without a capture form people can come to your site and leave without you ever knowing. The lead capture form if used properly should cause people to fill out the form to get some offer and then you keep their information and build a list. In today's world people are more and more savvy with the Internet and doing business online. Most people know to "shop" around for a sponsor when it comes to joining a network marketing company. So if you send them to your company website they can very easily go to Google or YouTube and find another sponsor that appears to have things going. With a generic page you are peaking their curiosity to fill out the form, which you get in your lead manager and now you can email them or call them. This gives you the opportunity to meet and greet them and build that relationship which is fundamental to success. For all the features that we provide in our system you could cancel 2-3 different services, which you would be paying even more. You also have the opportunity to make suggestions for new pages, which could cost you over $100/hour to have designed and developed. It is of utmost importance to your success that you build a list. Even if the people that visit your site don't respond to your current product or opportunity that does not mean that they never will. Different case studies have shown that the value of one lead can be on average, $60 per year. If you are not focusing on building a list then you are missing out on a very important part of building a business. Not all capture page systems have an affiliate program and even fewer of them pay a huge 50%. By referring just two people that use our system you can have a Professional account with no money out of your pocket. Why not add a capture page system to your business plan to enhance your success and make money from it at the same time? We should have listed this earlier since we know that you are looking at this system to increase your bottom line. You can make money not because of the affiliate program although there are affiliates that make some great checks but you will also increase your income from your list if you work with the people the right way. In our resource section we provide videos on how to do some of the most important things online to build a business. Subjects like how to create a YouTube channel and upload videos. How to optimize the video with SEO so you can get better rankings in the search engines like Google. It is also important to use Facebook, Twitter and other Web 2.0 sites. We provide foundational training for new network marketers and more being added every month and there is no additional fee for this information. We have been complemented over and over on how easy it is to set up our system and start marketing successfully with it in under 20 minutes, most of the time. There are tutorial videos to help with the various tools and if something is not clear we have a customer service department that is always ready to serve. Any page can be duplicated more than once so you can advertise as many products, services or opportunities on that one page.